Not feeling the classic camping vibe? Glamping could be perfect for you! All you lovely Glampers will be located in the exclusive Glamping village where you’ll find all those essential home comforts, including luxury toilets and showers. Treat yourself in the deluxe parlour tent and feel as fresh as a daisy the whole weekend. 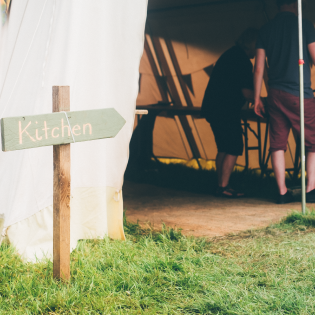 The village also has a kitchen tent making it easy to grab a snack or a cuppa at any time! 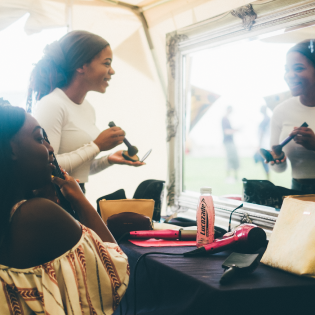 Peruse the options below and take your pick to create your ultimate festival luxury experience! 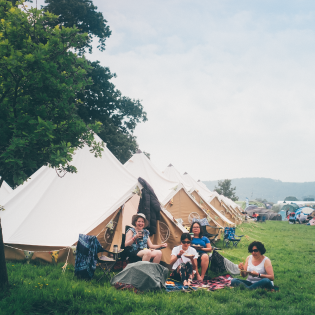 Please note you will need to buy an event ticket per person separately, but you do not need to purchase a camping ticket if you have bought a Glamping ticket. - A fully furnished boho-dream bell tent with sewn in groundsheet - the closest thing to a carpet you'll find in a field!